Sometimes a weekend getaway at a beautiful Cape Town property is the only thing you need to recharge your batteries, change your perspective and rejuvenate your mind. Because let’s be honest, life gets busy, work gets stressful and the days just seem to zoom past you, and we forget to take stock of what really matters – spending quality time with your friends, family and even yourself. A weekend trip to one of the most beautiful and exciting cities in the world, Cape Town, will allow you to do just that! Here are 10 weekend getaways you can actually afford to take in Cape Town in 2019, not only because it will result in a weekend filled with adventure, beauty and relaxation, but because you deserve to! Everyone deserves to sit back, relax and soak up some glorious mountain and ocean views from the comfort of a stylish Camps Bay retreat, and that’s exactly what you’ll get if you decide to make La Cabana your home for the weekend. 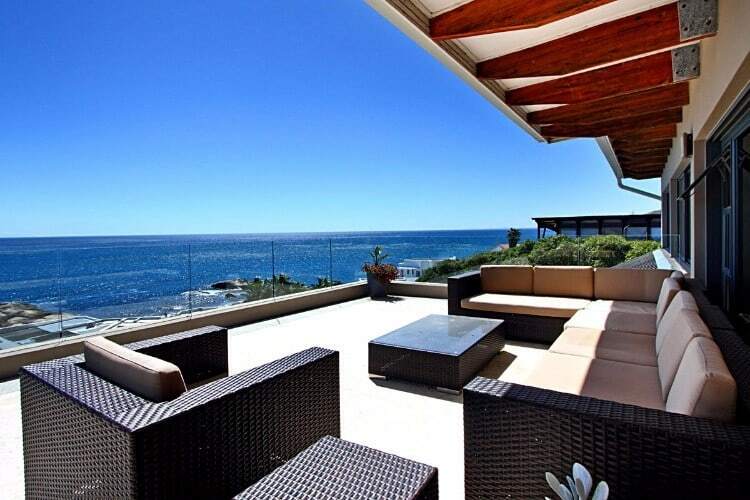 Tucked away on a quiet street in the heart of Camps Bay is where you’ll find this stunning 4 bedroom villa. It is the perfect escape for families or a group of friends who want to explore all that the Mother City has to offer. And the large terrace, outdoor lounge suite, sun loungers and refreshing pool with a view makes for the perfect sunny pool-side day and even better sunset cocktail spot. Bakoven is not only home to one of the most charming beaches and without a doubt one of the very best Cape Town sunset spots, but the stunning Brook Bungalow too! Set in the idyllic Bakoven enclave, the Brook Bungalow is a beautiful 3 bedroom retreat situated right on the water’s edge and within walking distance to the famous Camps Bay stretch and vibrant sunset strip. This 6 sleeper Bakoven gem promises one unforgettable Cape Town weekend getaway and a sensational Atlantic AND mountain range view that will have you falling head-over-heels in love with Cape Town all over again! Llandudno is one of the most beautiful beaches in Cape Town, that combined with being in one of the most beautiful cities in the world makes for one spectacular weekend getaway in the magnificent Mother City. 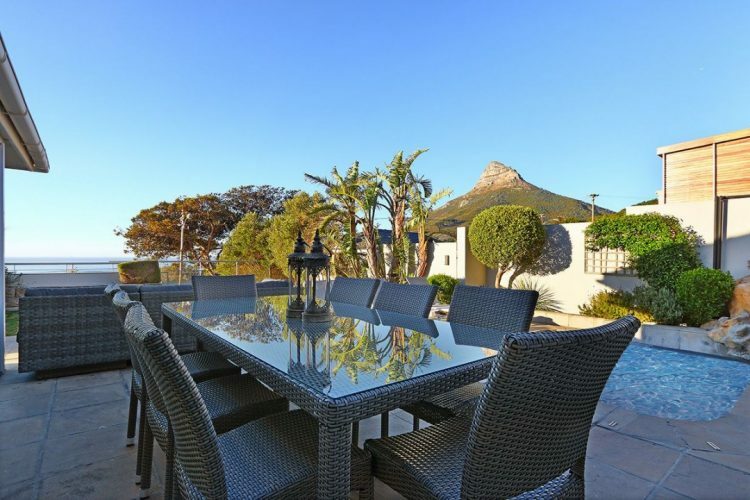 Situated on the Llandudno shore, Cool Waters is a stunning 5 bedroom villa that offers the perfect coastal escape from the hustle and bustle. It also includes incredible features like a swimming pool, lawn, open living space and plenty of contemporary touches and additional features to make your Llandudno stay one to remember. Llandudno is also famous for its sheltered beach, thereby making it the perfect coastal breakaway for those looking to relax and rejuvenate as well as for families in need of a relaxing break away from the busy city life. If a perfectly situated, modern marina Waterfront apartment is what you’re looking for, the Waterfront Getaway is the one for you! Within walking distance, you will be able to access many of the city’s top attractions and must-see hotspots like the Two Oceans Aquarium, Clock Tower and V&A Waterfront. And not to mention it is only a short drive from Clifton Beach, Camps Bay, Bo-Kaap, Sea Point and the bustling CBD, just to mention a few. 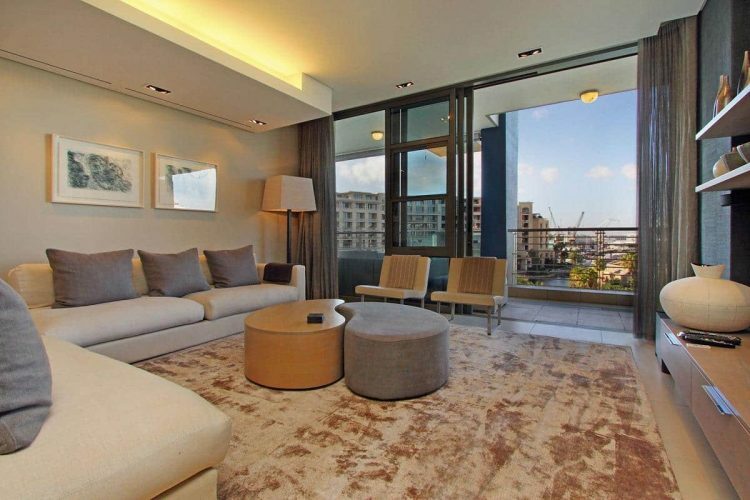 This 2 bedroom modern marina apartment truly is the perfect spot for a quick Cape Town weekend getaway and escape from the hustle and bustle of the city without really leaving it at all. Valtameri is without a doubt any Scandinavian and African interior design lover’s dream come true! 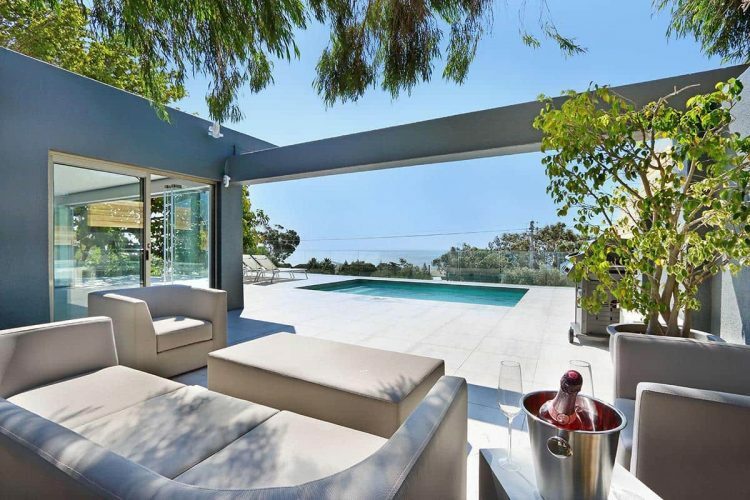 This ultra-modern and stylishly chic 5 bedroom (sleeps 10) villa off the vibrant Camps Bay shore is the perfect destination pick for a big group of friends and family looking to have a great time in the ever-beautiful Cape Town. 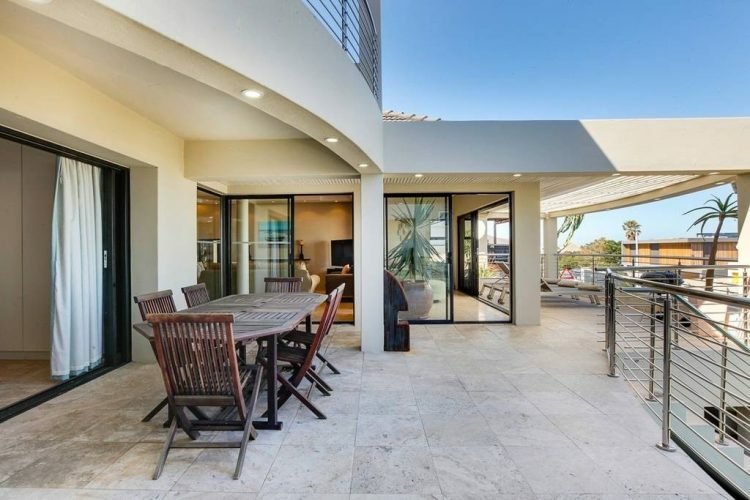 This sensational villa also boasts state-of-the-art self-catering facilities, 5 en-suite bedrooms, stunning open-plan living area, swimming pool and indoor/outdoor entertainment and relaxation area for leisurely morning coffees and evening cocktails. 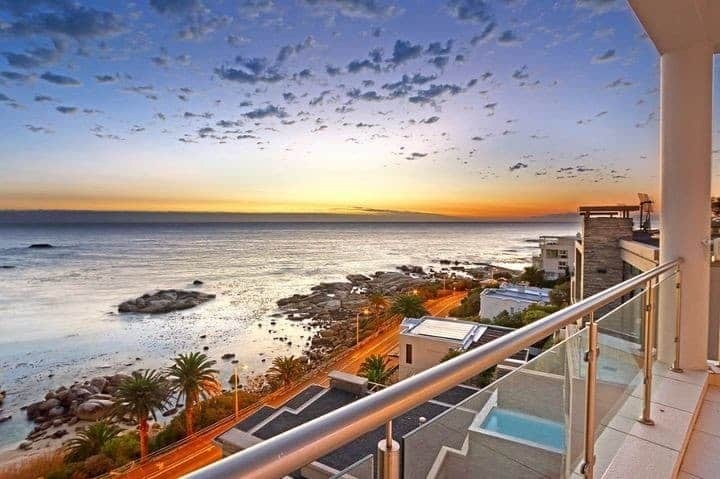 All that combined with the spectacular Atlantic view and close proximity to all the Camps Bay, Clifton and V&A Waterfront top attractions makes this the perfect location for an action-packed Cape Town holiday. In the mood for the perfect Clifton escape? Coming right up! The iconic Victoria road is home to this holiday, honeymoon and home-away-from-home ocean-side Clifton Beach gem. This 2 bedroom stunner boasts top quality contemporary furniture, a lovely open-plan living area, beautiful patio which includes outdoor lounge furniture and sun loungers and so much more! This also means you’re in for sunny pool-side Cape Town days, sensational sunsets and spectacular views! Known as the Soho of Cape Town, Green Point is a vibrant hub boasting a bustling nightlife, great restaurants and amazing coffee shops. 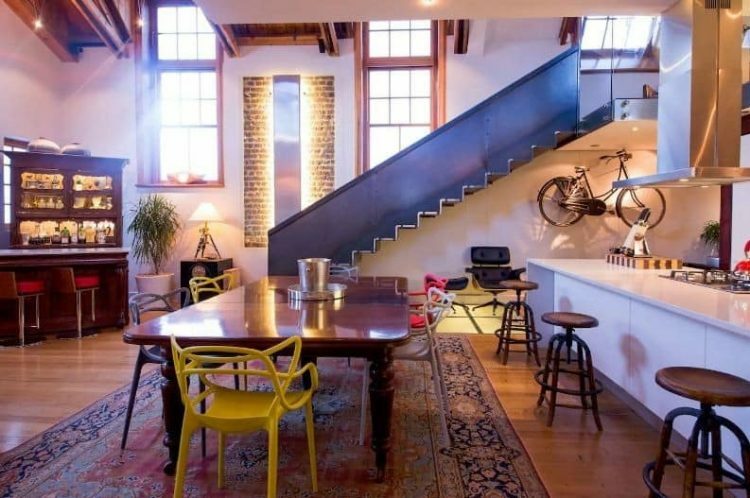 It’s prime location and close proximity to a variety of Cape Town’s top attractions makes it the perfect spot for a weekend breakaway in the Mother City. Aviato is an ultra-modern 5-star, 2-bedroom home situated in a magnificent 160 year old heritage building on the Atlantic Seaboard. Its triple volume open plan space makes it perfect for entertaining, it even comes complete with an antique bar. But what makes this home even more special is the attention to detail and the assimilation to its surrounding attractions. They say there is no sunset better than a Cape sunset, and now you get to experience that for yourself! Cape Sunset is an elegantly designed and beautifully furnished 5 bedroom villa. It also offers a spectacular Atlantic Ocean view that is guaranteed to leave you spell bound, and the best is you can see it from every bedroom too. 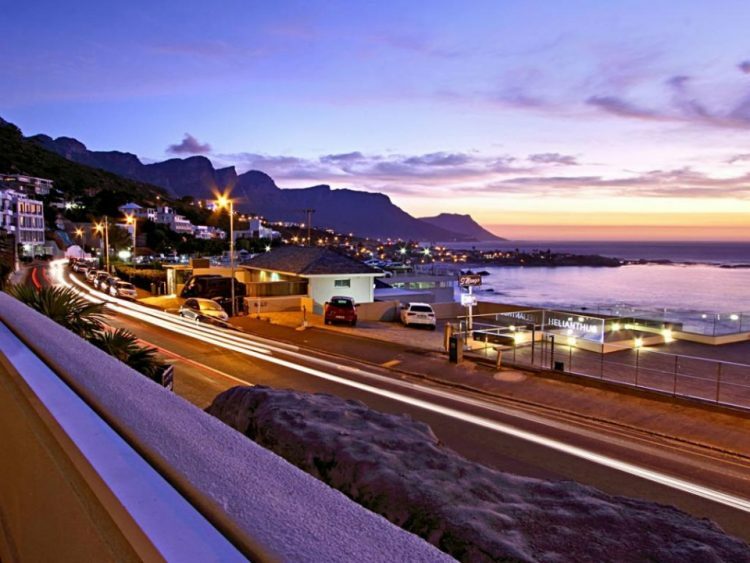 Situated merely 5 minutes from the famous Camps Bay sunset strip it keeps you close to the action without missing out on any of the Cape Town beauty and luxury. This villa comes fully equipped with everything you could possibly need for a relaxing and luxurious weekend in the Mother City. This spacious 3 bedroom villa is the ideal place for a lovely family Cape Town weekend getaway or quick coastal break. Hidden between Camps Bay and Llandudno, Bakoven is known as the sun baking oven of Cape Town and is home to one of the most charming, and certainly the most beautiful, beaches in the Mother City. And the Bakoven Escape is right there in the middle of it! Boasting 3 spacious bedrooms, modern furnishes, a variety of top-notch amenities, beautiful balcony, outdoor dining area, sunny terrace, sun loungers, sea views and a private swimming pool. This makes it the perfect location for pool-side sunny Cape Town days and sunset cocktails. The Bakoven Escape truly has everything you will ever need, and want, in a Cape Town holiday escape. Time to end this Cape Town weekend getaway list with a BANG, and this 8 bedroom 16 sleeper Camps Bay gem is exactly that and more! 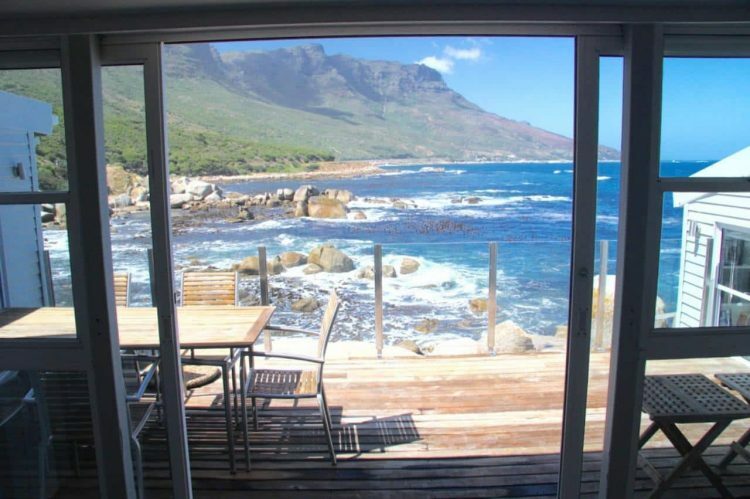 This is the perfect Cape Town breakaway location for larger groups of friends and family looking to have a fun weekend getaway in the Mother City. It’s 8 en-suite bedrooms, contemporary open-plan living and dining areas, cigar room, home cinema and a range of other sensational amenities and features makes it a dream to live in. But wait until you get outside! 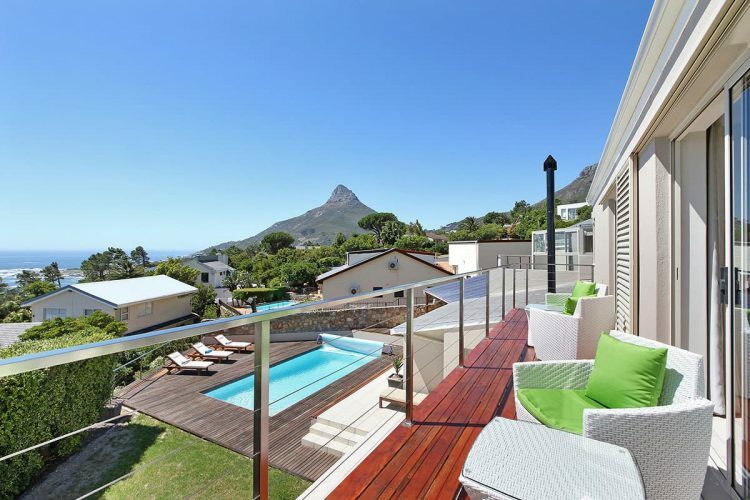 With a large private swimming pool, deck, garden space, a cocktail bar and balconies overlooking the Atlantic Ocean and Twelve Apostles mountain range outside soaking up all that Cape Town sunshine, pool-side bliss and Mother City magic is exactly where you will want to be! This sensational Villa is also in close proximity to all the trendy local hotspots and must-see Mother City attractions. Whichever Cape Town weekend getaway destination you choose, the Mother City promises to make you feel right at home. And with so many sensational holiday properties on offer, each offering something unique and exciting, you might find it difficult to pick just one! And that means you will HAVE to come back again & again, and there certainly is nothing wrong with that! The Mother City looks forward to sharing all of her weekend getaway magic with you! Still looking for more accommodation ideas for your weekend getaway? We’ve got you covered. 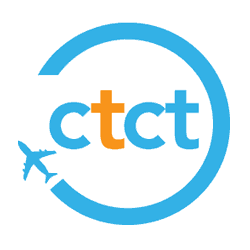 Here at ComeToCapeTown.com, we offer an extensive range of luxury accommodation to suit every preference. From outstanding villas to trendy apartments, exceptional aparthotels and hotels, along with our Curated Collection, we have something for everyone. Get in touch with our team today for assistance in finding the perfect luxury hotels in Cape Town and let us help you plan your trip to Cape Town.